It’s in our nature to gravitate towards colous that make us feel good, confident and are in line with our overall “vibe”, if you will. So, it makes sense that we often see these very same colors hanging in our closet, and dispersed around our living spaces. But, as any home decor guru knows; the design is truly in the details. 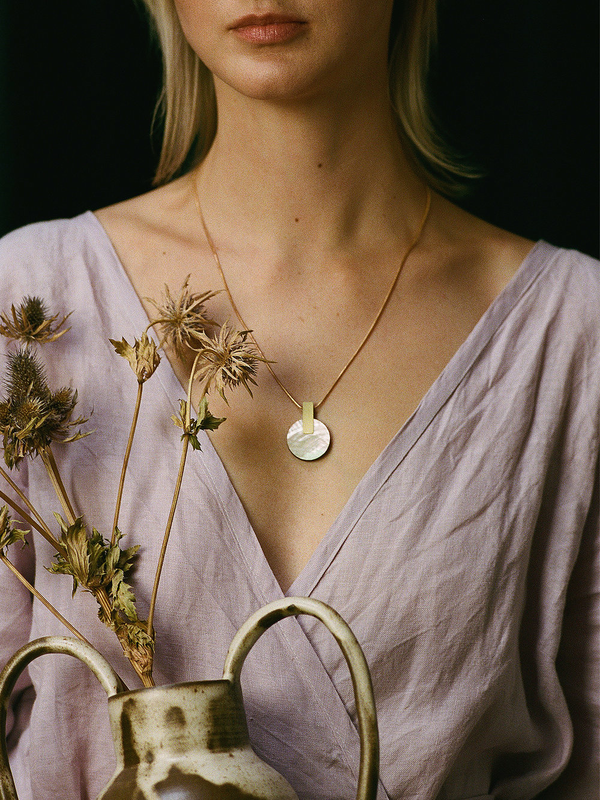 This bring us to our latest accessory crush and artist spotlight, Wolf & Moon, designed by Hannah Davis. Original statement jewelery for the curious & independent. Hannah mixes the interesting and the classic in perfect harmony; high-end and yet unique and personalized. While these are statement pieces, they really don’t seem to have an expiration date. In a nutshell, we just love everything she creates! We had the pleasure of chatting with Hannah about her process, and we are excited to share a few bits about her and her work with you here, on the blog.